My Kind of Saturday and Signing Up for Yoga Teacher Training! Happy Saturday! Today has been a my kind of Saturday so far. Not to mention that I just took the first step in signing up for yoga teacher training….application sent! 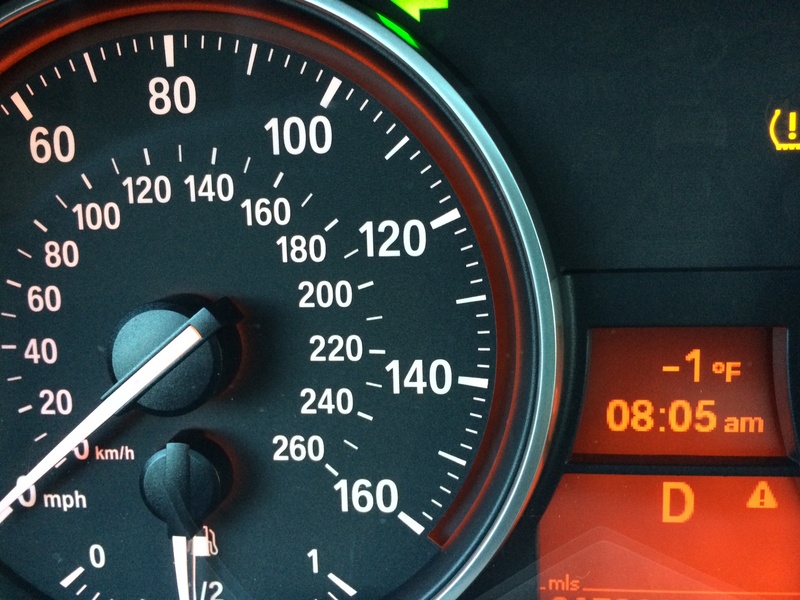 I honestly don’t remember the last time it was this cold!! 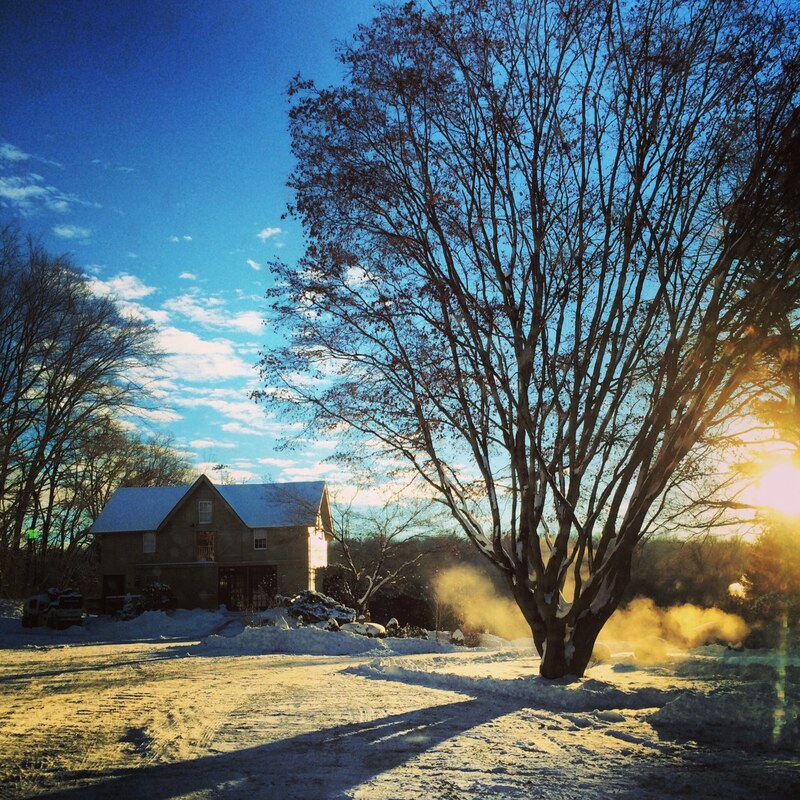 But because we just had snow this week, I can’t help at smile at how beautiful it is. I pulled into Yogapata’s parking lot, and the sun rise was beautiful. Of course I had to snap a picture…and Instagram it, obviously. After a great class I made a stop at Starbucks. My sister got me this travel mug from there for Christmas. Now this mug isn’t any mug, it came with a free coffee every single day of January! How cool is that? After my free coffee stop, I headed home and had some breakfast. 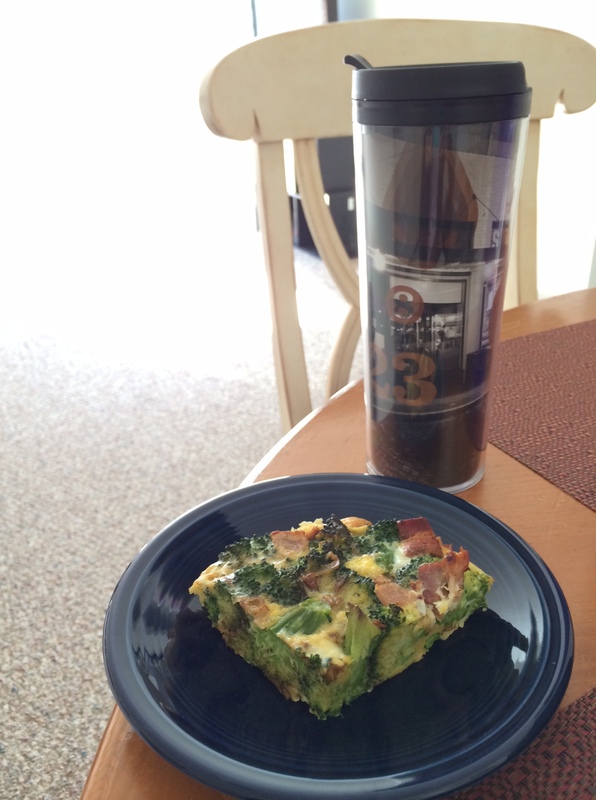 My leftover Bacon and Broccoli frittata. It hit the spot! Oh and before breakfast, I decided to do one more head stand. The sun coming in to my living room made for a pretty cool picture. Yes, I am becoming one of those yogi’s who posts yoga pose pictures on Instagram. And I am sure it’s only going to get worse…oh well! After my breakfast I sat down with my computer and finished my Yoga Teacher Training application!! I’ve been working on it for a couple of weeks. It asked some pretty thought-provoking, deep questions so I wanted to take my time with it. I finished it and sent it in! I am so, so excited for this next chapter of my life. I’ll write a post about my decision to take this leap soon. 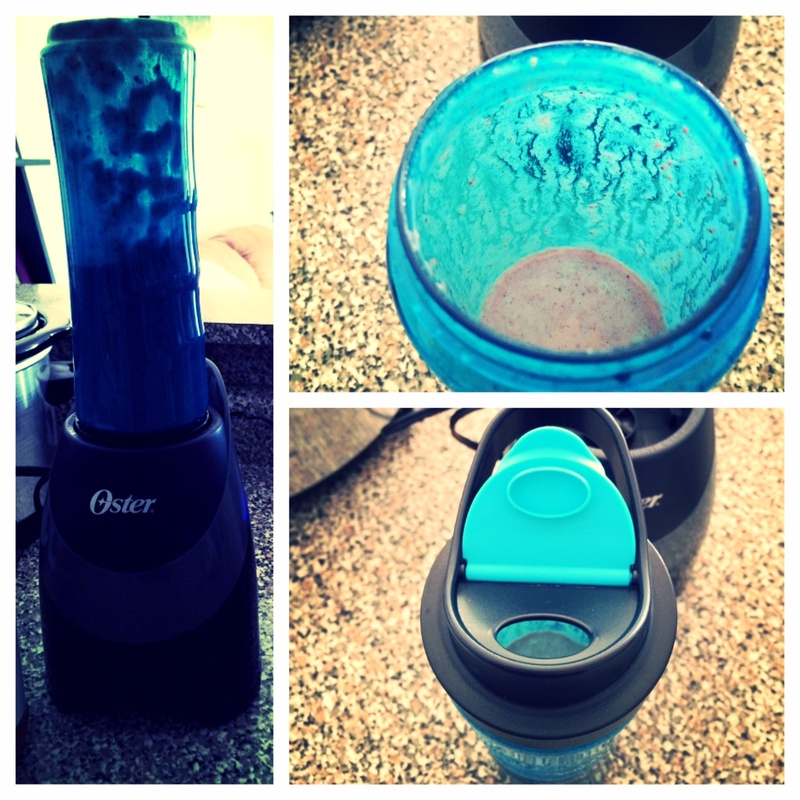 For my afternoon snack I made my first shake with my Oster MyBlend that I got for Christmas! It came out yummy! Put all ingredients in blender, and ta da! A yummy, delicious, healthy shake. Well that was easy. What’s the idea of your perfect Saturday? Beautiful, beautiful headstand photo! I’m about 4 months into my yoga practice and I can’t wait until the day I can do a headstand! Congrats on taking the next step to sign up for teacher training. Can’t wait to hear more about the journey! Thank you! You will soon I’m sure! I think it was 6 months or a year that I started doing them against the wall. JUST started being able to away from the wall 2 plus years after I started practicing.